With four huge peaks spanning 2, 358 acres, Breckenridge has something for all abilities and interests. Every beginner and intermediate trail is groomed nightly so you can enjoy endless turns throughout your day. Or, ride North America’s highest chairlift, the Imperial Express, up to the high alpine bowls for unforgettable views and steeps. 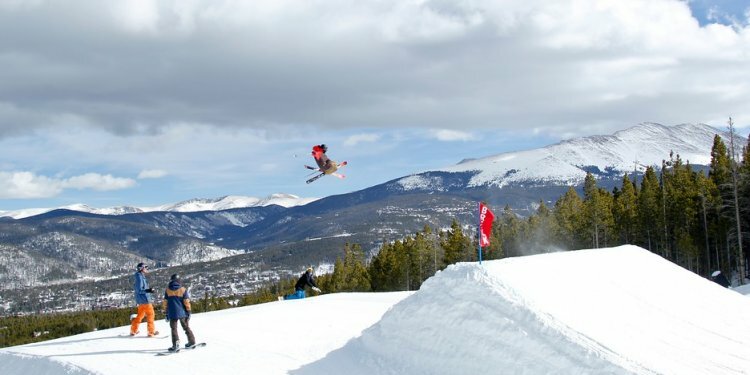 If you’re looking for terrain parks, Breckenridge has five—one for every skill level. Create custom Breckenridge ski vacations online, 24/7, using our interactive website. Simply choose your start and end dates, # of adults and children and click Create Your Quote in the Trip Quote box up top! View our wide selection of lodging options, trail maps & webcams, snow reports, ski school information, dining, activities & shopping, and directions!